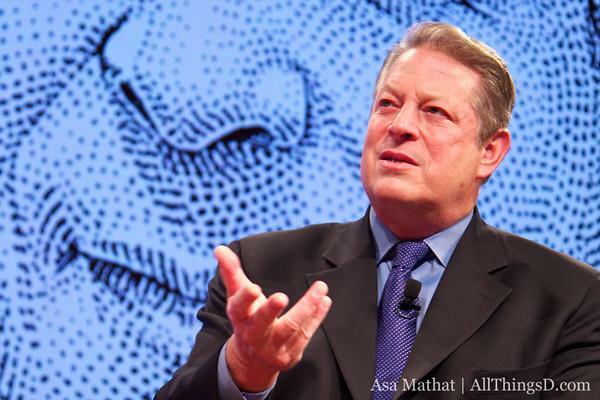 Among Job's inventions, "I actually I think his greatest work was Apple itself, Gore said, echoing sentiments that have been voiced by numerous analysts and industry watchers. He created an organization, and inspired it, that literally creates technology that people love.. and thats going to continue." "[Jobs] used to talk about initially about how after Walt Disney died, the company always got in trouble about asking what would Walt do in this situation. And he made it very clear I dont want that," said Gore. "He made it clear to Tim Cook and everyone else Dont ask what Steve would have done. Follow your own voice."
"I still talk to [Google co-founders] Larry and Sergey, but never about about anything where theres competition. Its not really a problem, but I dont have as many conversations with them now. And I miss that. Ive known them since they were 27 years old," he said, adding that he thinks Larry Page is doing a "great job" as CEO. "Hes the kind of guy that comes along once every 250 years. He was totally unique," he said. "I believe Apples brightest and most innovative days are ahead of it," Jobs said in an open resignation letter.